Carpark resurfacing is a simple, yet cost effective way to up the value of your property and branding appeal while enhancing visual appeal. After a period of around 20 years, you may find the asphalt surface of your carpark needs repairing, especially if it’s in use for business and experiences high volumes of traffic. The first impression of your business or investment is important, so it makes sense to keep the main thing most people encounter on the way in properly maintained. This goes double if you are selling your business or want customers to enjoy visiting your office or shopfront. If your business carpark is full of potholes caused by winter rain, a potential court case could be on the way. Without being too alarmist, forcing customers to use a surface that leads to personal injury could make you liable. So, it makes sense to protect against the risk by offering a working amenity suitable for public use. When repairing a pothole, if the surface is less than 20mm, you must overlap the repaired surface with the old to enable the surfaces to bond together. 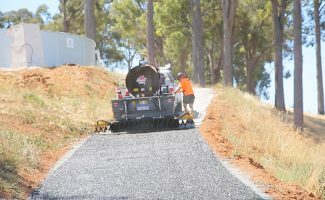 If the existing surface is greater than 20mm, the existing asphalt needs to be cut out and filled with new hot asphalt. 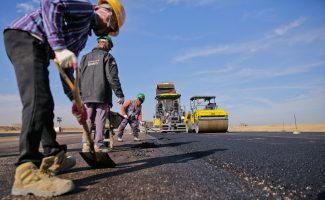 In the case of tree roots, oil spills, and heavy fallen objects creating the need for resurfacing, the existing asphalt can be saw cut out with new base work installed and then water bound compacted. Then, a new asphalt patch is installed. Asphalt maintenance may also be required when installing plumbing pipes or electrical conduits. In this case, a trench will be saw cut prior to the asphalt patch being installed. Sounds complicated? 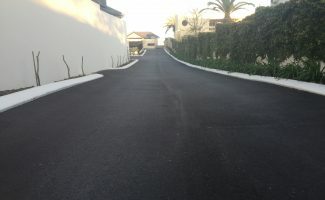 We at All About Bitumen and Asphalt are specialists in carpark repair and construction. Our work is thorough and methodical because it’s what’s beneath the surface that counts. Get in touch today to see how we can help improve the look and use of your commercial carpark.